Both my children are now at an age where holidays and seasonal events like Halloween mean so much more to them. 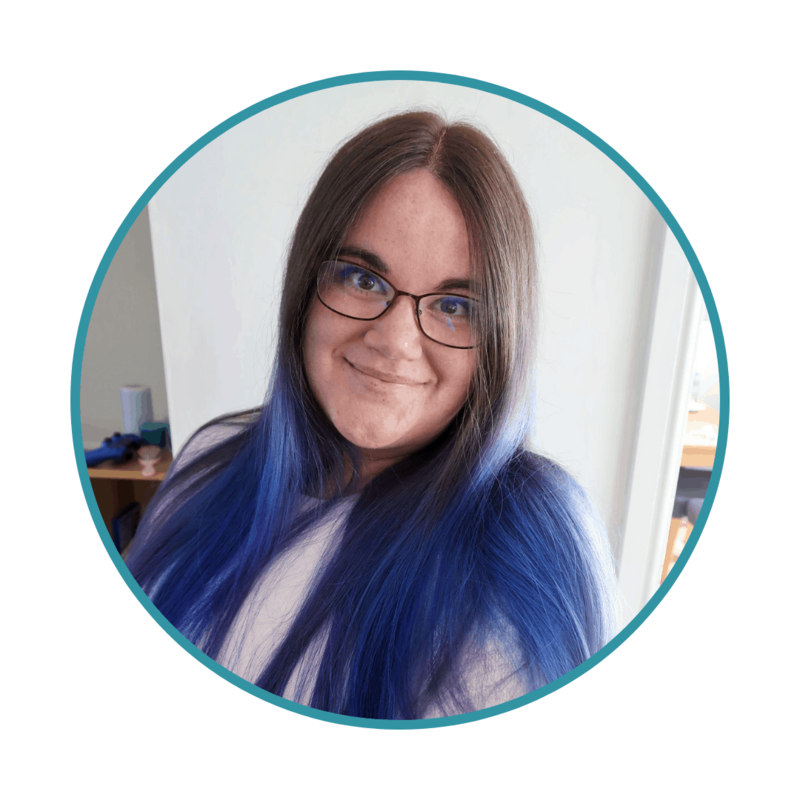 There’s so much fun to be had at this time of year, especially if you have children. 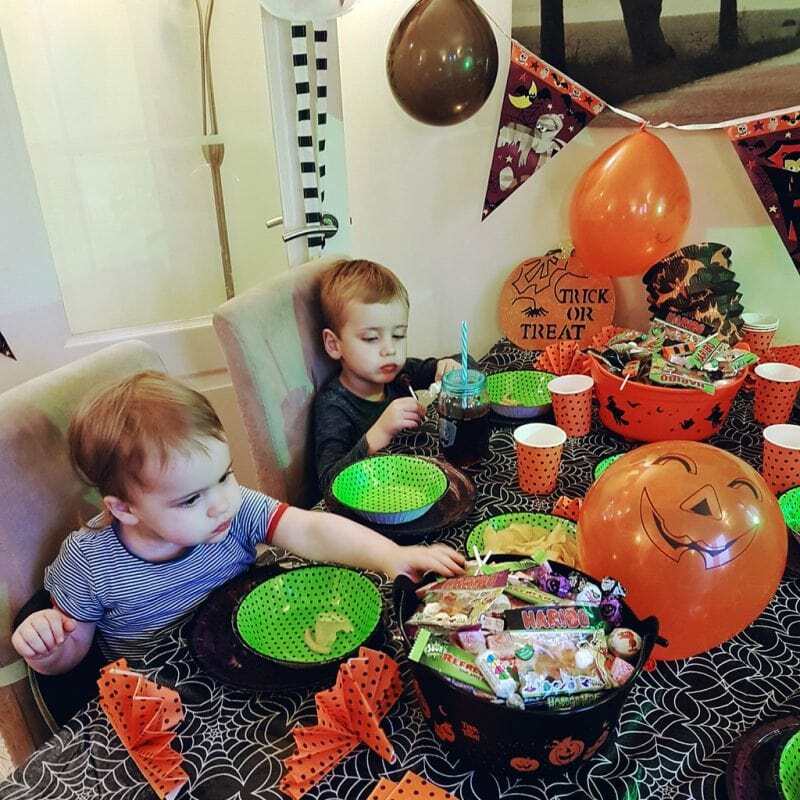 There are Halloween crafts, art and other activities, parties, decorations and, of course dressing up and trick-or-treating – but buying into every single holiday gimmick can become expensive for parents. That’s where Poundworld come in. 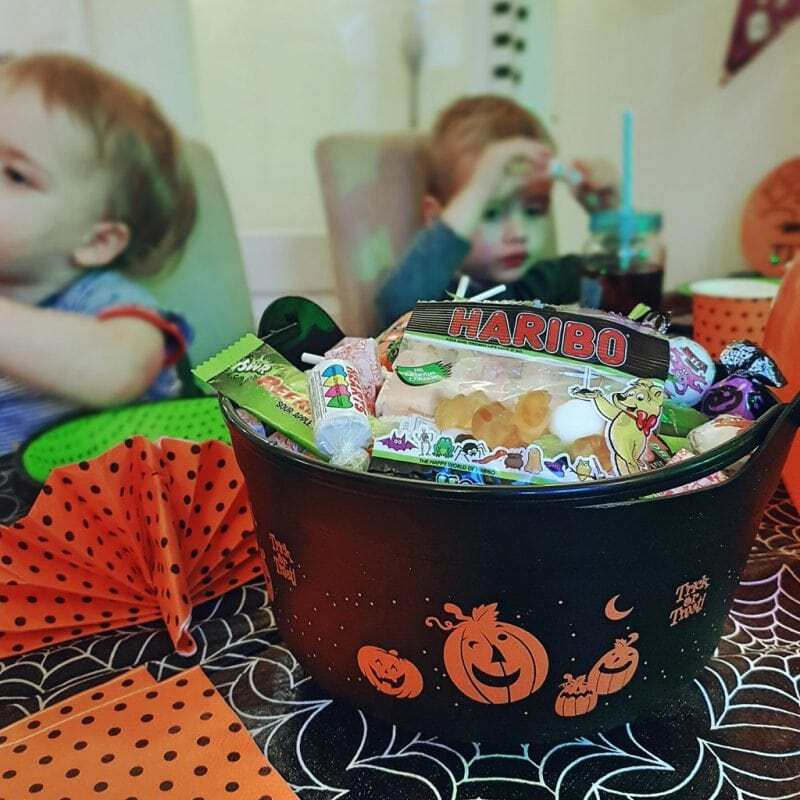 They have a huge range of Halloween products available, including everything you would need for a Halloween party or any little trick-or-treater’s sweet-collecting needs. And the best part, of course, is that everything is just £1! We were very lucky to be invited to Poundworld in order to select some of their range to review. As you might imagine, the children were absolutely thrilled by all the weird and wonderful things on offer. 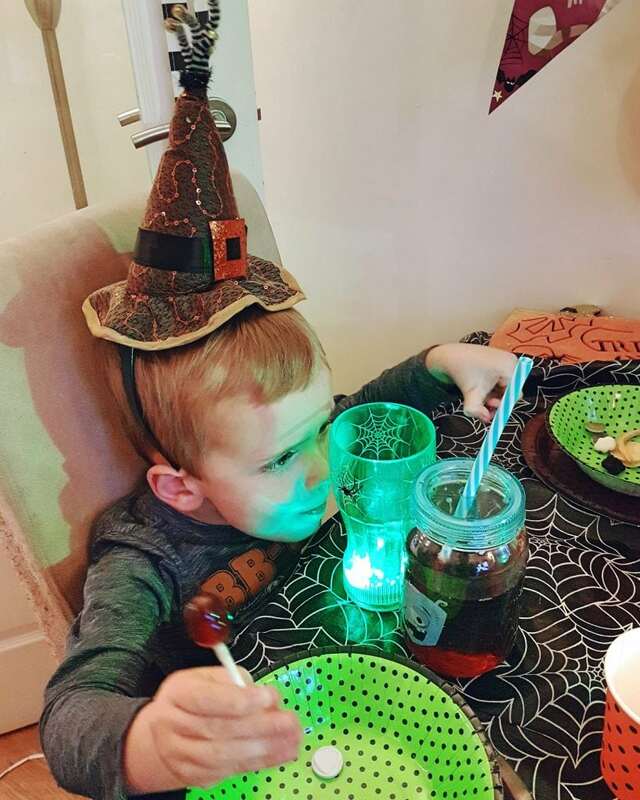 They had great fun trying and picking out all sorts of things, from spooky goblets to witches hats – and of course, lots of sweets. We won’t have our real Halloween party and trick-or-treating evening until the 31st. However, we set up our decorations early in order to give a good idea of just how much you can get for a relatively small amount of money. 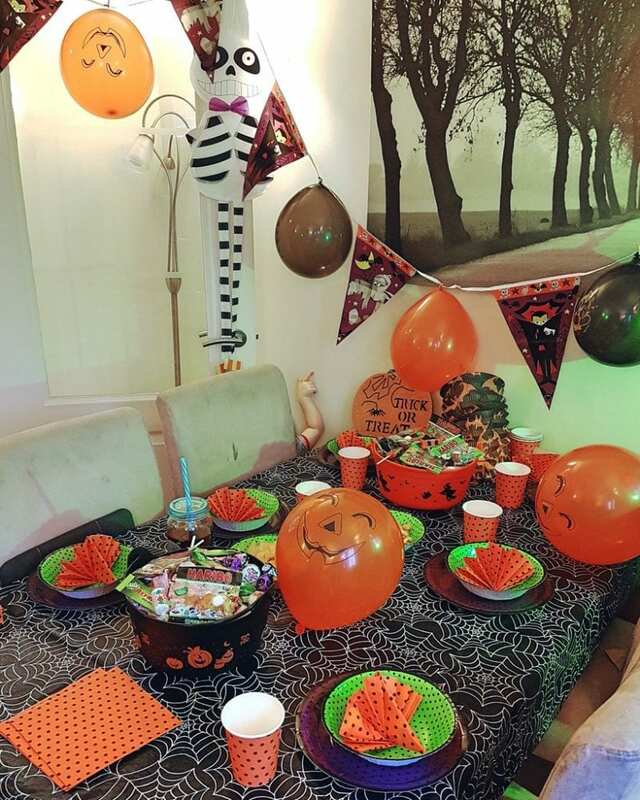 We purchased decorations, some fancy dress items, party cups and plates, snacks, trick or treating buckets and LOTS of sweets. We got everything below for just £30. 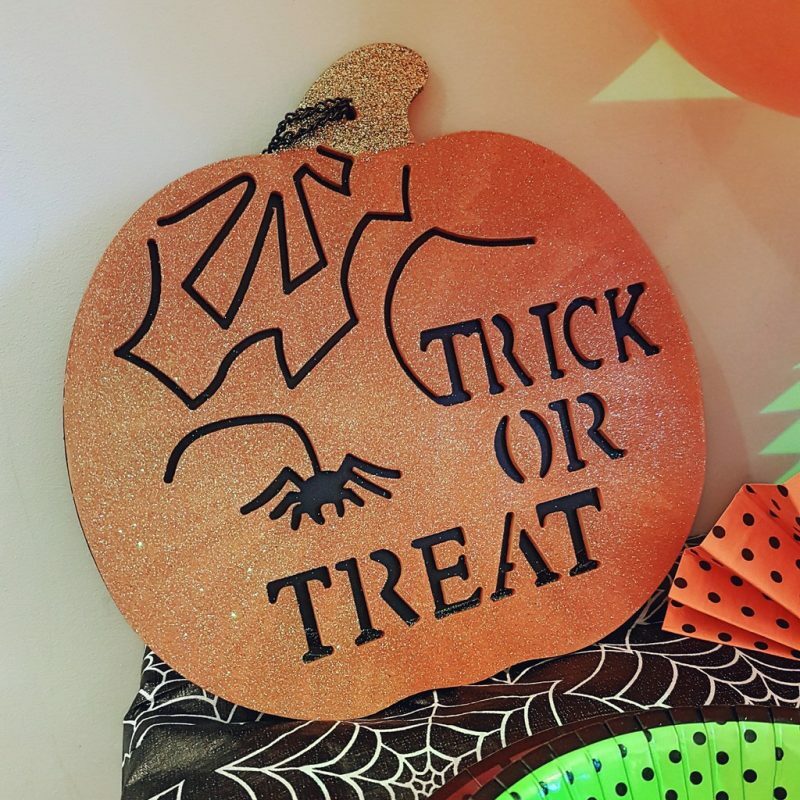 In addition, we also loved this wooden ‘Trick or Treat’ sign, designed to be put up outside your home to let trick-or-treaters know that you are taking part. It’s great quality and an absolute bargain for just a pound. Sensory-seeking Biggest absolutely loved this light-up flashing goblet. I have a feeling that he will be playing with it long past Halloween! As you can see, both children very much enjoyed their ‘practice’ Halloween. We did let them have a small packet of sweets each but the rest have been safely put away ready for the big night. 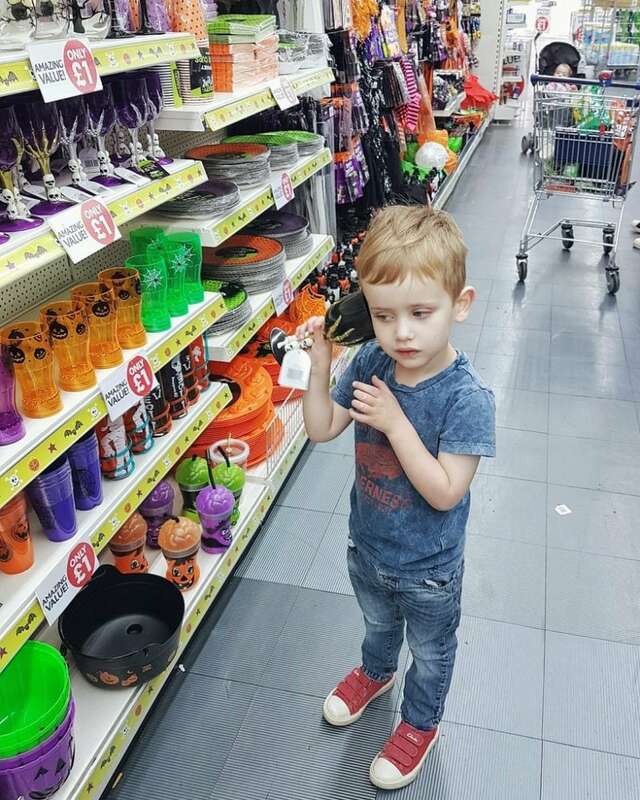 Overall, parents can’t go far wrong with Poundworld if they are hoping to capture all of the fun of a Halloween party or event, but at a great price. We can’t wait to use all of our purchases again at the end of the month. 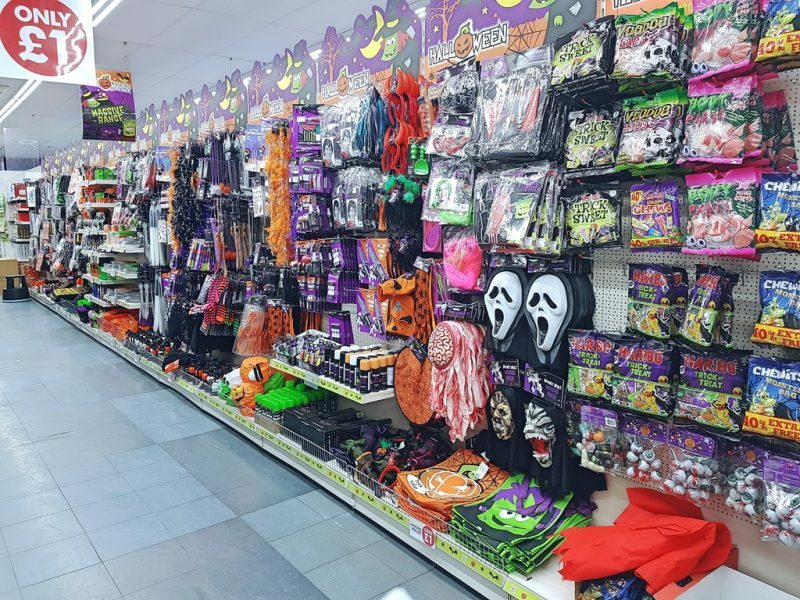 Don’t forget, there’s still plenty of time to get down to Poundworld and grab a spooky bargain! Wow! You really do get a lot for your money don’t you? I LOVE places like PoundWorld for things like this. I really love the look of the ligh up goblets too – I may have to make a trip down there to grab some. 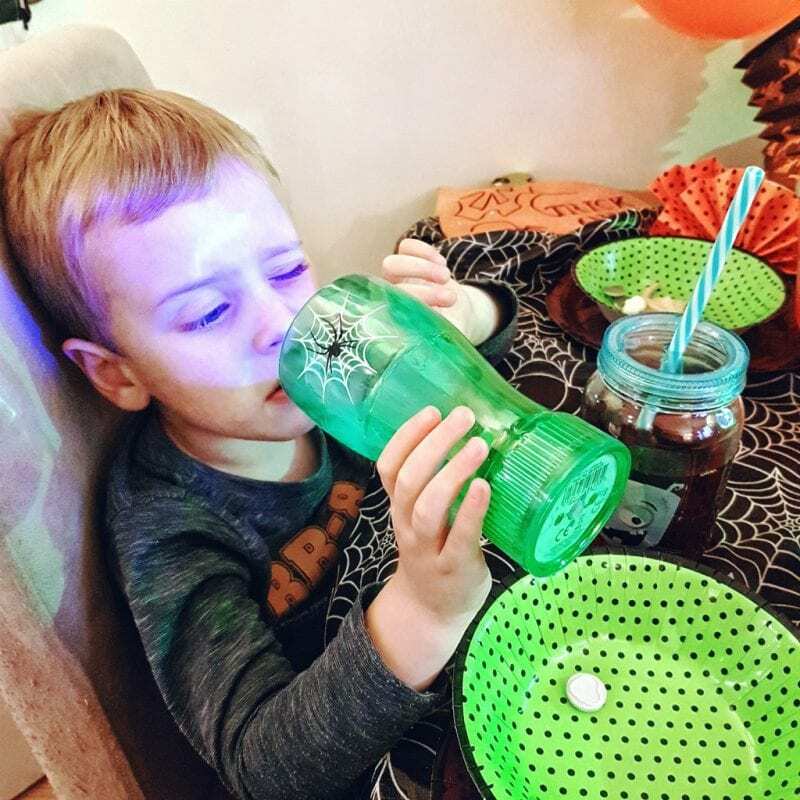 My boys are already so excited about Halloween – I bet your little ones are too. Especially now they’ve had a practice party! I love the bargains to be had a poundworld. Great post!